Robin has a gift in her guides. With each chapter, you get led in a discussion, verse, and then questions to help you learn more about gaining joy and peace in your life. We often know it is good to journal, but I'm not very consistent. This guide helps lead me in seeking more peace and joy in my life, as well as in following God's calling for my life. 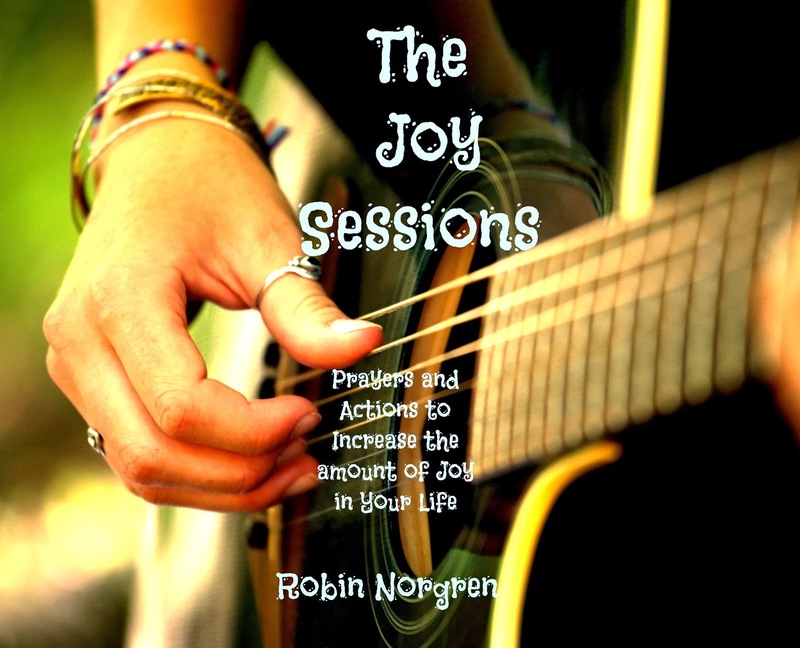 Robin Norgren has written a beautiful meditation on the meaning of joy and how to cultivate it in our day to day lives. 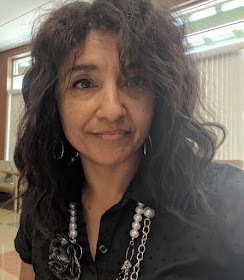 She includes Scripture and prayer for daily meditation as well as short personal essays meant to draw us closer to a community of seekers-- people who are seeking more joy, more love, and more connection to themselves and the Divine. I read the e-book format but found myself longing for a hard copy that would allow me to write my own responses to Robin's prompts. 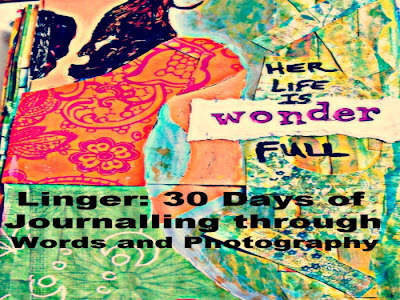 This book begs for journal entries and personal connection to the text (my favorite kind) and is a heartfelt and genuine exploration of what it means to be human and to find the gifts of joy in the midst of everyday life. I will return to this book often and make it part of my daily writing practice. Not since Liz Lamoreux's book Inner Excavation have I experienced a book so deeply as Writer Girl. It is always easy to write to please other people but to write simply for ourselves takes a journey of honesty that many are reluctant to pursue. Robin extends an invitation to us to take that journey in such an unassuming yet encouraging manner. 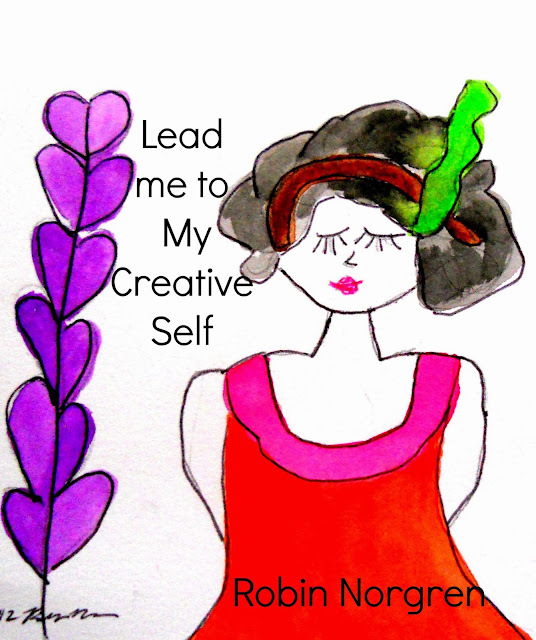 I highly recommend Robin's book to everyone as we all have a gift to write, we just have to write with our heart as Robin encourages us to do...and write for ourselves...as you will be surprised at what you learn. What a wonderful experience it was working my way through Robins book. Her writing is extremely beautiful and authentic. I found myself on several occasions saying the words "YES" and " AMEN" out loud as I read. The Priming the pump exercises at the end of each chapter were so thought provoking and deep. They really forced me to take a look at what was really holding me back in my writing vs all the excuses I had made in my head. This book was an absolute oasis for me at the end of each day. As well as a refreshing way to start my mornings. 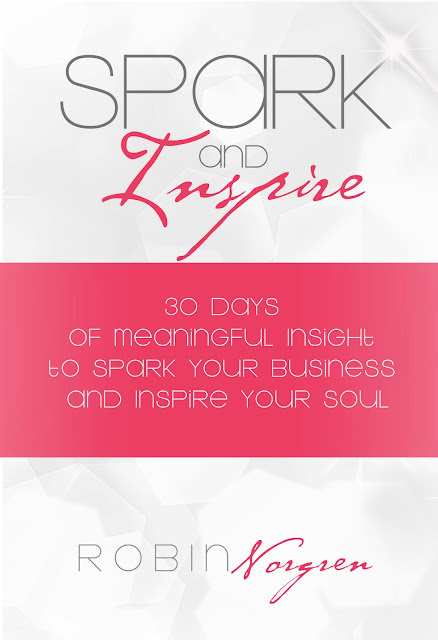 I will definitely be talking about and reading this book to my friends who are needing a creative jump start. I have been loving this writing tool/guide. As someone who wants to explore my own writing capabilities, this guide has been helping me expand my writing skills with great prompts as well as personal writings of the author, Robin Norgren (who is very eloquent and creative). 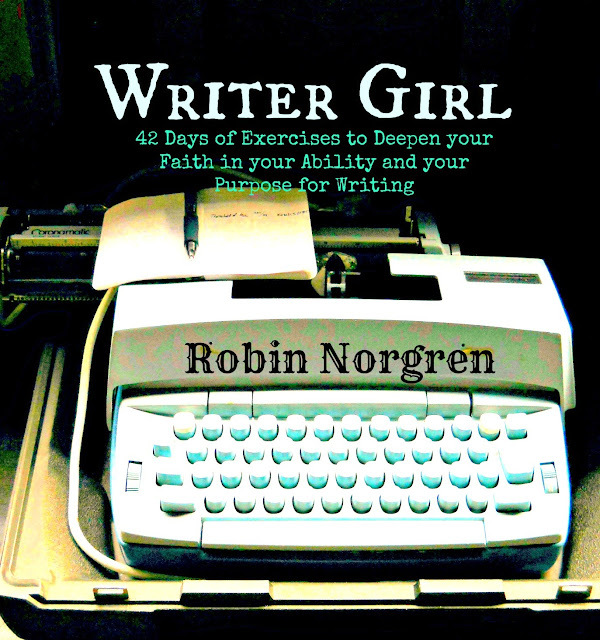 I love Robin Norgren's creativity and this book/writing tool gives me hope and encouragement about my own writing skills. It is truly helping me learn to express myself. Robin's book opened my eyes and my heart to the wisdom within to write everyday, from a place of deep knowing within. I began writing on my blog everyday and also started maintaining a book/journal because I started to delve deep into my life and what was underneath all of it. The book, the gentle prompts, quotes and guidance on writing became somewhat of a therapy for me. I began to tap in to the wisdom within. 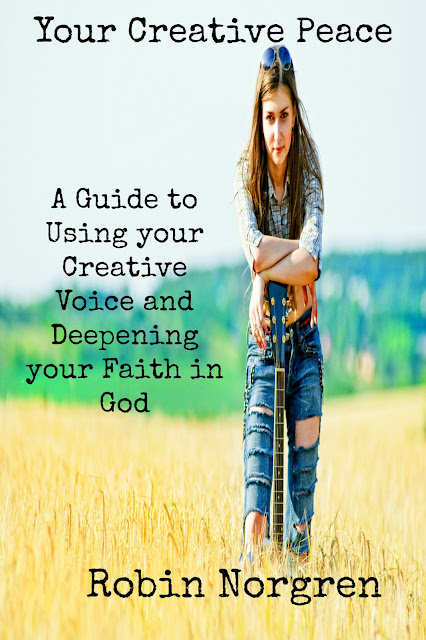 I have also found my writing voice and this book has helped me welcome opportunities in my business and writing in a way that I never expected. Thank you Robin for this amazing book! So far beyond a journal just for writers, this book is a deeply honest and insightful offering for any creative soul. Indeed, it was as though Miss Robin had been reading from the passionate.yet.all.too.chaotic pages of my own inner life! 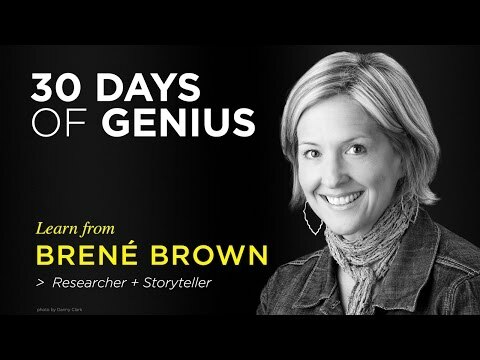 I had no expectation other than to see as through a window into the author's mind, possibly gleaning some hints of how to bring order to my own process as a budding creative. I found so much more! Perfectly accented with inspirational quotes, the themes such as Embracing one's own identity, Validation, Being intentional in my approach and even Quiet were, for me, a welcome departure from more mechanics-minded books for writers. You will find no pretense here. Robin shares openly and with such exquisite simplicity so as to draw the reader in, opening her life as one would open a front door to invite in guests. Then suddenly you are a guest no more. You will find a home here: a respite from the many wearying pursuits of life and art. The "Prime the Pump" sections were a massive help to me in weeding through what's going on beneath the surface of so many scattered thoughts. What an unexpected journey! In fact, I'm getting ready to start working my way through Writer Girl a second time! As an added bonus, my Christmas list now has many more boxes checked as I think of family members and friends from many walks of life who will enjoy this journal. Writer Girl has done just that! Given me the ability and courage to move through my own actions of negativity or inactivity into a more purposeful state of writing. I've learned to "just let go and trust" the process and my faith in His plan for me . . even if I do not feel worthy. 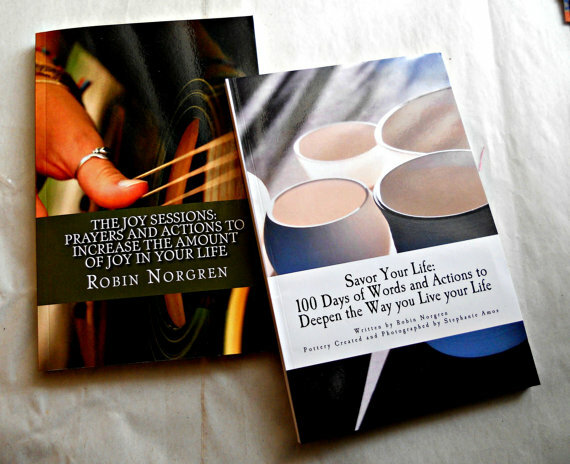 Robin Norgren's prompts really let you dig deep to find that inner voice and to also nurture what is deep inside you so that you can lead a more fulfilling life . . even through the most mundane of days. I'm so glad I found this book and this teacher to prompt me along the way. My discovery of my own Writer Girl is just beginning as I plan to work this book again and discover more golden nuggets!! Thanks you Robin! What a great experience!! It is a treasure to read and I find myself coming back to it over and over again. 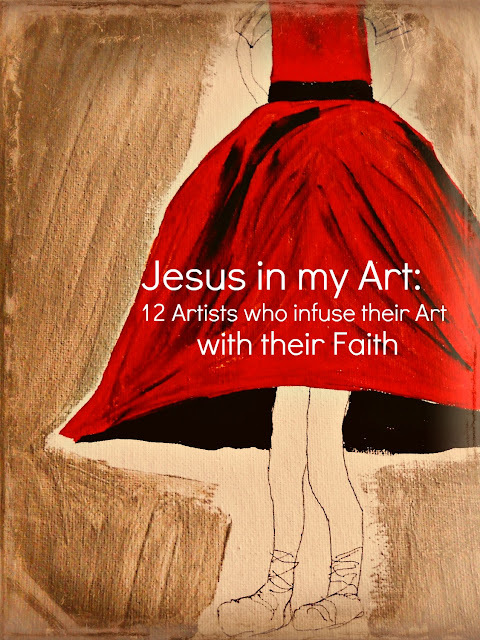 It is filled with artist interviews and words of inspiration to help the artist looking for answers. I have read other works by this author and she pulls me in every time with her words of creative encouragement. I also love that it is a Kindle edition, because I carry my Kindle everywhere I go! !